Amy Farrah Fowler: You’re up early. 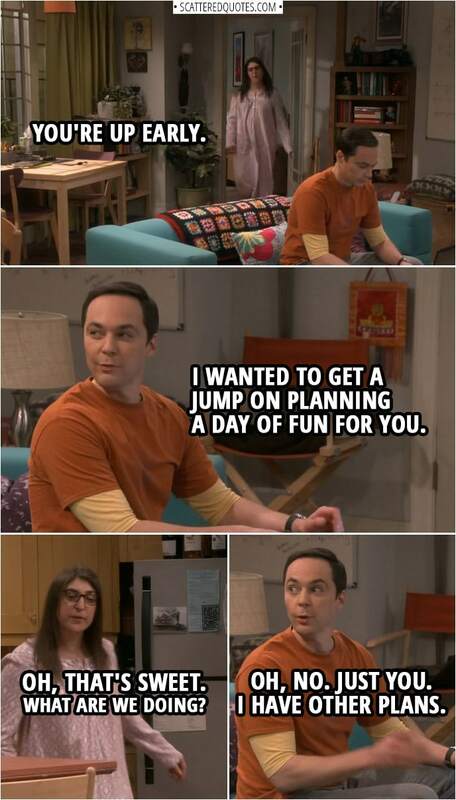 Sheldon Cooper: Huh? Yes. I wanted to get a jump on planning a day of fun for you. Amy Farrah Fowler: Oh, that’s sweet. What are we doing? Sheldon Cooper: Oh, no. Just you. I have other plans. 3.2.2019 Just you. I have other plans.